October 13 is World Thrombosis Day. 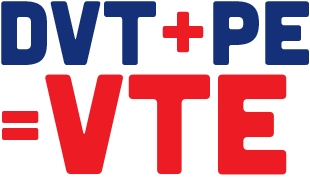 World Thrombosis Day (WTD) focuses attention on the often overlooked and misunderstood disease of thrombosis. With hundreds of educational events in countries around the world, WTD and its partners such as Diapharma, place a global spotlight on thrombosis as an urgent and growing health problem. 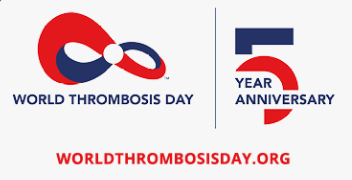 WTD seeks to increase global awareness of thrombosis, including its causes, risk factors, signs/symptoms and evidence-based prevention and treatment. Ultimately, we strive to reduce death and disability caused by the disease. The International Society on Thrombosis and Haemostasis (ISTH) and the Centers for Disease Control and Prevention (CDC) will co-host a World Thrombosis Day 2018 Webinar — Hospital-Associated Venous Thromboembolism: What You Need to Know, Thursday, October 11, 2018 from 10-11am EST.